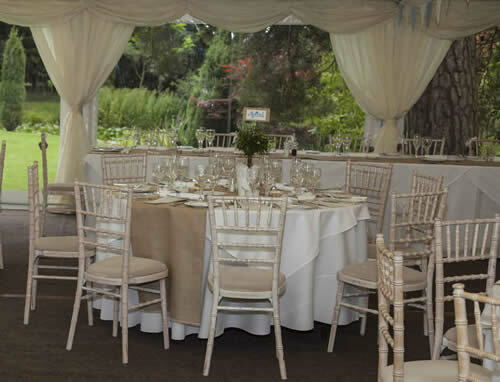 Welcome to Gloucester Event Hire, for more than 20 years we have been the benchmark for excellence with the catering industry in Gloucestershire and surrounding areas. We supply quality equipment with a vast range of choice at an exceptional value. We offer the complete range of kitchen equipment to hire, from large scale electrical appliances such as fridges and Rational ovens to china, cutlery, linen, furniture, and glassware. Our large inventory of stock is immaculately cared for, meaning you can expect the best in quality from the finest industry brands. We can provide kitchen equipment for any type of event no matter how big or small and you can rest assured that we offer the same level of exceptional service regardless of the size of your event. So from small dinner parties right through to large scale weddings or festivals our service excels. Our complete hiring service really is second to none; our friendly and professional team are waiting for your call now. We can advise and help you plan your event, as well as providing logistical advice for arranging personalised delivery and collection arrangements. Don't just take our word for it, read what some of our client's think of our catering equipment hire service. So no matter what the occasion, be it a wedding, dinner party, corporate or private function our professional team is waiting to assist you in making your event memorable. With a complete range of catering equipment to hire, plus a full range of furniture hire we can help. We cover a wide range of areas central to Gloucester including Cheltenham, Evesham, Stroud, Bristol, Cirencester, Herefordshire, Forest Of Dean, Worcestershire & Oxfordshire. Copyright 2016 Gloucester Event Hire. All Rights Reserved.